When you use our website, complete a form or send us an email, we may collect personal data that can identify you personally. This information may be used by INVISIBLE Translation to contact you in the future. INVISIBLE Translation may collect data that do not identify you personally, including but not limited to the time and date of your visit to our website, the IP address from which you accessed the site, the link used to access our site and the pages on our site that you viewed, as well as the web browser and operating system you used. We may also use “cookies,” which are pieces of information sent to your browser and stored on your hard drive. However, you can set your browser to deactivate cookies. The data you provide INVISIBLE Translation are used for various purposes, such as tracking how many visitors access our website, collecting statistics and improving our products and services. INVISIBLE Translation never shares information it collects with individuals who do not work for INVISIBLE Translation unless required to by law. All data that we collect, regardless of nature, are and remain confidential. We share information that you provide to us on a “need to know” basis with very few of our project managers, translators, editors, revisers, proofreaders, writers, programmers and graphic designers. Please note that all of our team members have made both a personal and professional commitment to protect your privacy. 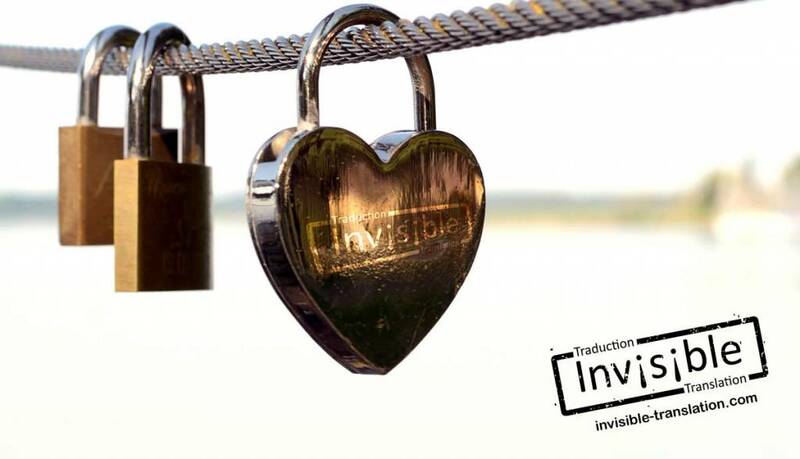 If you have questions or concerns, or if you wish to know more about how we protect your privacy, please email us at: info@invisibletranslation.com.